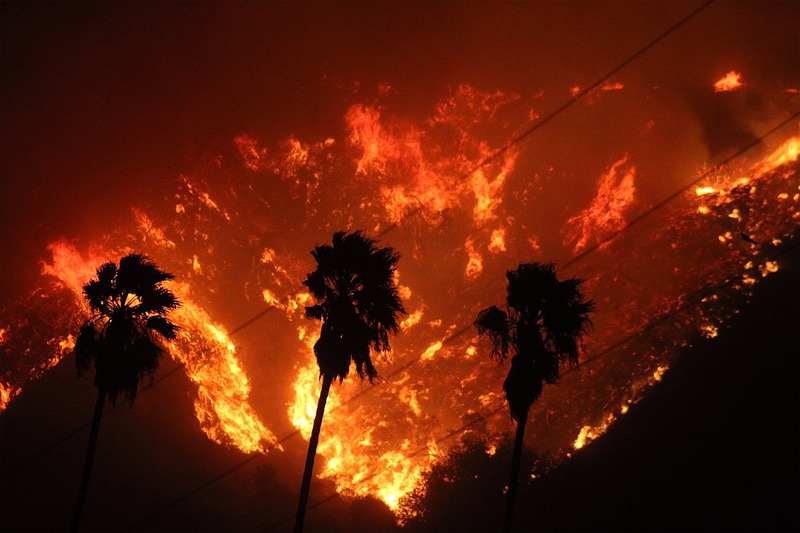 SolBid News - Clean Energy News - Wildfires, Hurricanes, and….Bombogensis? Oh My! Wildfires devastated the Pacific coast this October, with millions of acres burned across California, Oregon, Montana, and elsewhere. In Northern California, more than 245,000 acres burned and 14,000 homes were destroyed; and the Thomas Fire near Santa Barbara ripped across 280,000 acres, making it the state’s largest wildfire ever. With damages exceeding $2 billion, 2017 was the most expensive fire season year on record. The clearest way in which global warming increases wildfire risk is higher temperatures. Higher temperatures draw moisture from plants, trees, and soil, essentially turning forests into tinderboxes. This provides the dry fuel and conditions that feed wildfires. In California, the added heat has been compounded by the prolonged drought from 2012 to 2016, which dried out vast swaths of wilderness and opened the door to a devastating beetle bark infestation. The twin forces have killed some 129 million trees across nearly nine million acres, building up a massive amount of fuel and significantly raising wildfire risks. Deadly storms Harvey, Irma, and Maria dominated the news in August, killing more than 150 people and causing more than $200 billion in damages in just the United States, making it, too, the most expensive hurricane season on record. 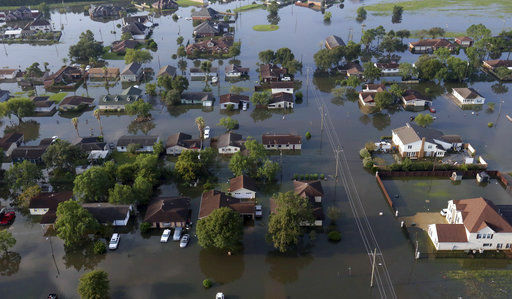 27 trillion gallons of rain fell over Texas and Louisiana from Hurricane Harvey alone, setting the record for the highest tropical cyclone rainfall in the continental US. Sea level rise of 10 to 12 inches in cities such as Miami dramatically increased the destruction caused by the storm surges associated with Hurricane Irma, which were as high as 10 feet. And warming waters driving hurricane development and strength ushered in Hurricane Maria, Puerto Rico’s strongest storm in 85 years. The Northeast coast got slammed this Thursday by what’s known as a bombogensis, a condition which occurs when a storm drops by at least 24 millibars (a unit that measures pressure) in 24 hours, bringing furious winds that can quickly create blizzard conditions and coastal flooding. Winter Storm Grayson dropped a stunning 59 millibars in just 24 hours. 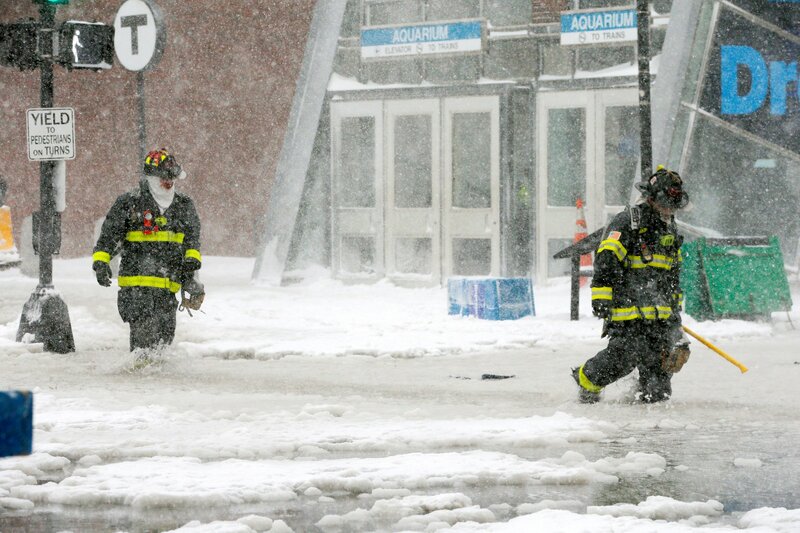 These category 3 hurricane-force winds have caused extreme coastal flooding, particularly in Boston’s seaport area, which newscasters are reporting may be the highest high-tide seen in the area since 1921. Gryson’s arrival also arrival prompted more than 4,000 flights were canceled nationwide, nearly all of which were at hubs impacted by Grayson. Storms like these are not uncommon in the Northeast; they typically happen about ten times a year, and are referred to by other names, such as Nor’easter or mid-latitude cyclone. But Grayson isn’t your typical nor’easter. “This storm is a synoptic meteorologist’s dream,” says Paul Huttner, who watches the weather for Minnesota Public Radio. “It’s a perfect alignment of the three things we look for.” These three things are a warm conveyor belt of tropical moisture, a cold air mass, and a low pressure trough in the upper levels of the atmosphere. While the Gulf Stream currently shuttling out of the Caribbean and right up the Atlantic coast is common for this type of year, what’s less normal is the huge subzero air mass that dipped down from the Arctic about 10 days ago, plunging the Great Lakes and Eastern US into a sustained deep freeze. These conditions combined to form Grayson- quite literally, the perfect storm.